Calcium is one of the most important nutrients in your body. About 99 percent of the calcium is stored in your bones and teeth, while the rest is present in blood, muscles and other tissues. The body uses the mineral to carry out many important functions, including sending important messages through the nervous system. Calcium deficiency is a common health problem across the globe, especially among the elderly and postmenopausal women. It can also affect children’s healthy development. Many factors can contribute to its deficiency. Most often it is due to lack of adequate calcium in your diet, aging, low vitamin D levels and hormonal changes in the body. People often ignore the warning signs of calcium deficiency, until the problem becomes severe. It is important to be aware of these signs as addressing the problem early can save you from future complications. With a simple blood test, your doctor can check your calcium level. To reduce your risk of calcium deficiency, you should consume the recommended amount of calcium per day through the food you eat. If necessary, you can take calcium supplements, after consulting your doctor. Here are some warnng signs that you may have a calcium deficiency. One of the most common symptoms of calcium deficiency is muscle aches and cramps. Lack of sufficient calcium causes nerve cells to become extra sensitive, leading to sudden muscle cramping and pain. Uncontrollable muscle twitches as well as numbness and tingling sensations in the hands and legs can occur for the same reason. Moreover, a low calcium level may impair the nervous system, which in turn affects the functionality of nerves. If you are experiencing muscle cramps and aches on a regular basis, despite proper hydration and an adequate hemoglobin level, it is time get your calcium level checked. Insufficient calcium in the body can take a toll on the health of your bones. The mineral is vital for building bones and keeping them strong. With low calcium, bones are likely to become weak, which increases susceptibility to osteoporosis and fractures. In the long run, weak bones can also impact a person’s stature and overall strength. 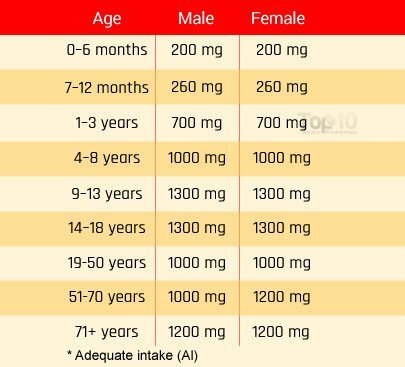 This is why parents should make sure that their children are eating calcium-rich foods, especially during their growing years. When you don’t take in enough calcium, the body starts using the calcium from your bones to ensure normal cell function. Aging people, especially women after menopause, should consider taking calcium supplements to prevent bone loss and fractures that occur with age. Calcium deficiency can even show its sign in the teeth. Calcium is an important constituent of teeth; hence its deficiency can cause delayed and defective tooth formation in children. Adults also may experience more frequent instances of tooth decay and other oral problems. A 2001 study published in the American Journal of Medicine notes that both calcium and vitamin D supplements help reduce tooth loss in the elderly. Calcium is also needed for maintaining a healthy immune system, which helps the body battle viruses, bacteria, yeasts and fungi. This is why people who are deficient in calcium are more likely to suffer from common colds and infections. Furthermore, calcium is one of the most important alkaline minerals that increase the oxygen level in your blood. Bacteria and fungi cannot survive in an alkaline atmosphere. It also supports the healing process of wounds and injuries. In a 2013 study published in Current Biology, scientists for the first time revealed how a flash of calcium is the very first step in repairing damaged tissue to speed up the healing process following injury or surgery. Intake of sufficient calcium is important for healthy body weight. In fact, it has been found that most obese people do not consume the recommended daily allowance of calcium. So, if you are struggling to lose weight, it could be due to lack of calcium. A 2004 study published in the American Journal of Clinical Nutrition notes that dietary calcium plays a pivotal role in the regulation of energy metabolism that accelerates weight loss, whereas low-calcium diets attenuate weight and fat gain. A later 2009 study published in the British Journal of Nutrition emphasizes that boosting calcium consumption spurs weight loss, but only in people whose diets are calcium deficient. Premenstrual syndrome (PMS) is a common problem faced by women. The symptoms include moodiness, food cravings, bloating and cramping. They start in the latter half of the menstrual cycle, after ovulation begins, and go away 1 or 2 days after your period starts. To some extent having PMS symptoms is not problematic, but if the symptoms are getting severe month after month, it can be due to nutritional deficiencies. Calcium deficiency can be one reason. Calcium supports cyclic fluctuations during the menstrual cycle, which helps reduce and prevent the severity of PMS. It even assists with cramping and other related symptoms due to its role in estrogen detoxification. This mineral is also involved in normal development of the uterus and ovarian hormones in women. A 2000 review published in the Journal of the American College of Nutrition found that calcium supplements can help with PMS. 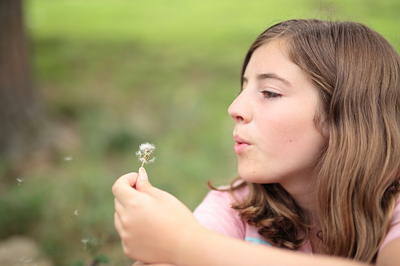 Girls who are calcium deficient from early childhood may experience delayed puberty. 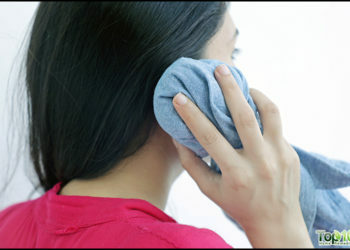 It can also lead to menstrual problems, such as irregular periods and severe menstrual cramping. In addition, it can cause impaired reproductive function later in life. A 2008 study published in the Journal of Pediatrics notes that low intake or low absorption of calcium and vitamin D in children and adolescents may limit their statural growth. Another 2010 study published in the Journal of Bone & Mineral Research notes that a low-calcium diet causes adverse interaction on lumbar spine mineralization in late-pubertal girls. As late onset of puberty in adolescent girls is linked with calcium deficiency, if your child is having this problem, consult your doctor. Tossing and turning in bed throughout the night can have a direct impact on your mood and work productivity. Lack of sleep on a regular basis is not a good sign. 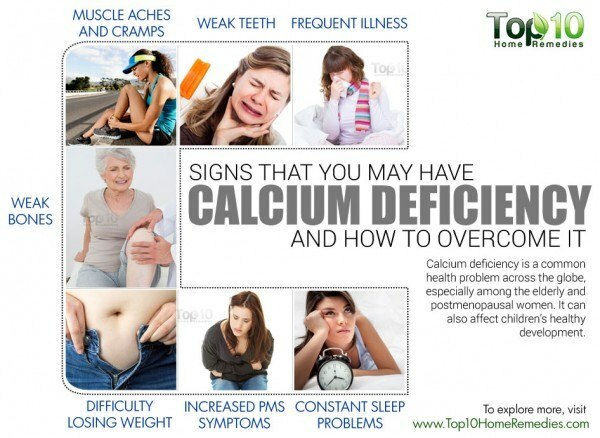 There can be several possible causes behind it, and calcium deficiency is just one of them. Calcium aids in the production of melatonin, the sleep hormone that helps maintain the body’s sleep-wake cycle. This sleep hormone increases naturally during the night to help you sleep soundly. When there is lack of calcium in the body, melatonin production is hampered. Furthermore, calcium also works as a natural relaxant. If you are having problems falling asleep or staying asleep long enough to feel rested, before you reach for sleep aids get your calcium level checked. Even drinking a glass of warm milk before bedtime can promote sleep. Be sure your diet includes calcium-rich foods, such as skim or non-fat milk, dairy products, dark leafy green vegetables, fortified cereals, citrus fruits, blackstrap molasses and soy products. You can opt to take a supplement, but consult your doctor for the correct dosage. As vitamin D helps regulate calcium in the blood, make sure to include foods rich in vitamin D in your diet. Also, enjoy early morning sunlight for 15 minutes daily to help your body produce vitamin D.
As magnesium aids in calcium retention, eat magnesium-rich foods on a daily basis. Spinach, summer squash, turnips, sea vegetables, green beans, whole grains, pumpkin seeds and sesame seeds are good sources of magnesium. Soda, caffeine and excess sodium intake can interfere with calcium absorption, so consume them in moderation or completely avoid them. I read your article regarding calcium. I just have a suggestion that if you take yogurt everyday in your diet don’t we then of course get enough calcium in our body. Please I would like to request you for information to my email address if you don’t have objection. I battled thyroid cancer which they removed two kinds of cancer and the complete thyroid as well as lymph nodes for it had spread to lymph nodes. I have a calcium deficiency and vit. D as well as B12. My levels of calcium have never been right since 2011 surgury. My weight gain is there and nothing I do helps. I now have experienced a very painful , I thought sciatic nerve problem in my left leg. I feel like I’m walking out of my knee sockets each step I take and the pain is unbearable. Y other leg stays swollen. Any help would be apprenciated. Very usefull information. I’m suffering a lot with my knee pain and joint pain. My age is 39. After reading this article, at least I’m aware of my sickness reason. Thank u so much. A vitamin B-5 (pantothenic acid) deficiency can also cause joint and muscle pain. I’m low on vitiam D What FOODS SHOULD I EAT?